After what should have been a great re-release of Batman: Arkham Knight on PC, it’s seemingly still broken for loads of people and WB is offering full refunds until the end of 2015. The same complaints that plagued the initial release of Arkham Knight seemed to crop up again during the re-release. Complaints about stuttering, crashes, and the game just not launching have all been pretty common. In a release through Steam, WB stated that “We are very sorry that many of our customers continue to be unhappy with the PC version of Batman: Arkham Knight.” and “We worked hard to get the game to live up to the standard you deserve but understand that many of you are still experiencing issues.” Basically admitting defeat due to what I’m going to assume was a bad judgement call in outsourcing the PC port to a small company of only 12 people. 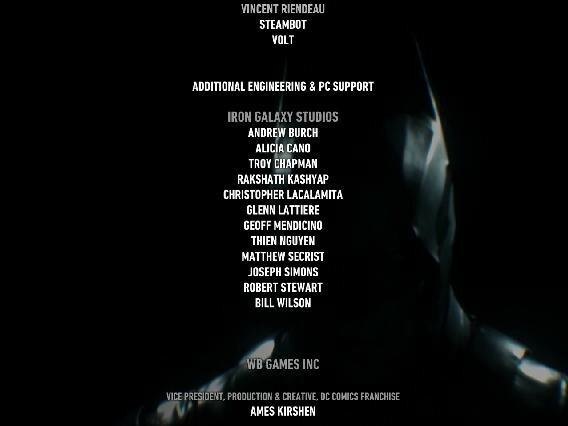 WB also went on to say that “Until the end of 2015, we will be offering a full refund on Batman: Arkham Knight PC, regardless of how long you have played the product.” which means even if you’re able to run Arkham Knight flawlessly and you beat the game, you can still request a refund – subverting Steam’s usual 14-day/2-hour refund policy. Maybe this is considered shady, but maybe not? They ended the release by saying “For those of you that hold onto the game, we are going to continue to address the issues that we can fix and talk to you about the issues that we cannot fix.” This is a little worrisome, because what kind of issues are there that can’t be fixed? Are you surprised that Batman: Arkham Knight flopped for a second time on PC? Or were you kind of expecting it? Let us know in the comments!